December 2014 – bakin' fresh! According to a statement posted on his Facebook page Californian rapper Hopsin has decided to quit rap and move to Australia! The young MC explained that ‘this rap stuff just isn’t for me’ ‘I’m going to venture out into new areas of life’. The news comes as quite a shock, the young rapper had a rather large cult following and produced a number of good tunes. Read the statement he wrote on his Facebook page below and relive this dope tune Super Duper Fly from his 2009 album Gazing At The Moonlight. Kendrick Lamar Drops A New Track On The Colbert Report! Rocking a new ODB style haircut Kendrick Lamar took to the stage on the Colbert Report to premier a new untitled track that will appear on his highly anticipated upcoming album which is also yet to receive a title. If you weren’t already pumped for Kendrick’s new album this track should change your mind. Its something different from the Compton rapper or writer as he likes to be called, the track features a funky experimental type beat with a heavy jazz influence (there’s also a cool sax solo in the middle). Kendrick spits straight fire as well gradually getting louder and more passionate as he goes, really diggin’ this new style he’s got going on. Bring on 2015, it seems like its going to be a killer year for hip hop! Check out Kendrick’s performance below! J. Cole 2014 Forest Hills Drive Freestyle! Just under a week before J. Cole releases his latest project 2014 Forest Hills Drive, today the North Carolina rapper has dropped a freestyle of the same name. Running in at almost three minutes Cole spits bars over a chilled jazzy beat showing us what we he is capable of and setting a great mood for the album. His lyrics are impressive, if this freestyle is anything to go by than 2014 Forest Hills Drive could well be one of the best albums of the year. 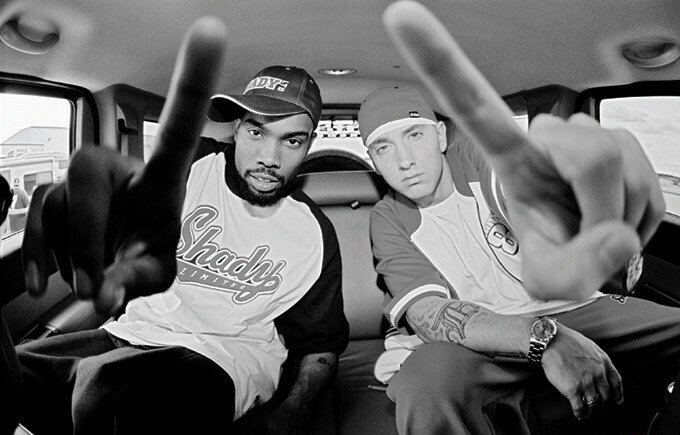 2014 hasn’t been the best year for hip hop however; there have been some wicked releases and there are still some highly anticipated albums to come including Wu-Tang’s A Better Tomorrow, DJ Premier and Royce Da 5’9″ collaborative project PRhyme, Ghostface Killah’s 36 Seasons and Astro’s Computer Era. These few albums have the potential of finishing the year off on a high. 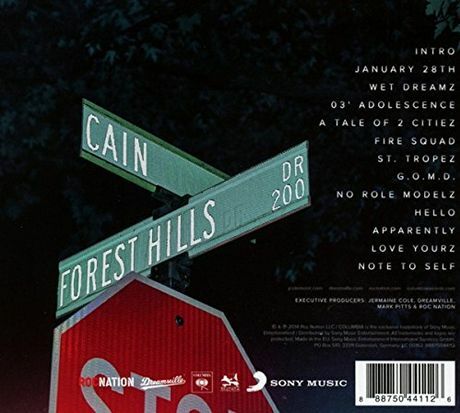 J. Cole has released the tracklist for 2014 Forest Hills Drive which you can view below, and by the looks of things there seems to be no features which would be unusual in this day and age however; its something I’m definitely looking forward to. Check out the tracklist and freestyle below!